Adding a logo to Nookal is a great way to personalise the letterhead for invoices and letters. The logo is also used when sending emails from Nookal. Below explains how to add a new or change an existing logo. A logo will need to be added for each Location in the account. 3. Click on the Location to open this location’s page. 5. Find the logo in your local device’s folders and click Open. If you are changing the logo, you will need to Delete the previous logo and Save Changes before opening the location’s page again and adding the new logo as explained above. 1. 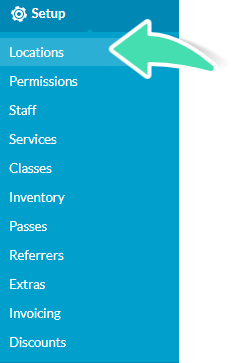 In the Location page, Click Delete Logo. 3. Open the Location page again. 4. Follow steps 4 onwards of the previous section.